Amanda Caldwell, the chair of RBL has lived in Rastrick for the past 15 years and her daughters have attended local primary schools. She is qualified as an accountant and currently works as a Finance Director for a local manufacturing company in Brighouse. Previous to that she worked for Yorkshire Forward, the Regional Development Agency for Yorkshire and Humber. She is proud to be a local employer and see manufactured goods pass out of the gates on a daily basis. She is passionate about improving the local environment and open spaces for Rastrick residents and has been involved in a number of projects clearing up the river and canal basin. In her spare time, she enjoys walking, running, and travelling. Peter Edwards, the Vice Chair has lived in Rastrick for the last 48 years apart from a 5-year business break that took him to North Yorkshire. He has had many long connections with the people of Rastrick and is a founder member of RBL. He was educated in Rastrick and is now retired after over 54 years in the carpet industry. He has been married to his wife, Judy for 50 years, has two daughters who both reside in Rastrick and a son, seven grandchildren and one great-grandson. He has recently retired from the Brighouse Charity Gala after almost 50 years. He is a supporter of Huddersfield Town. Angela Peaker, the Secretary/Treasurer has lived in Rastrick for the last 20 years. She is now retired from full-time employment having worked as a secretary for over 30 years. She has been involved with local Community groups for the last 9 years and is confident that with the work being undertaken by Rastrick Big Local and participation by the Community, Rastrick will continue to prosper for the future generation. She is also a volunteer at the Brighouse Old Peoples Rest Centre. Her hobbies include gardening, knitting, walking and animals. Elliot Collins, a resident, has been a member of the Rastrick Big Local Partnership since 2016. Elliot is keen to understand and appreciate the local concerns, issues and developments within Rastrick as an area. He works as a Neighbourhood Officer for Together Housing Association and has worked for the company for around 5 years. His skills and knowledge learnt from his current role are very helpful to understand community discussions. Elliot’s interests include watching and playing sports. He is a keen Huddersfield Town supporter and season ticket holder and plays football most Sundays. Rich Richardson, a resident, has lived in Rastrick since 2003 and became involved with RBL after he retired, as it offered an opportunity to put something back into the community. Previously, he has worked in the public sector for over 30 years, the last fifteen of which were with Calderdale MBC. He is keen on gardening, music, cooking and crosswords. Pauline Eastham, a resident, has lived in Rastrick for 16 years. She has two sons and one grandchild. She was made redundant from the NHS where she ran GP surgeries and has also worked as a care worker. She has now retired but in her spare time, she enjoys various crafts, decorating, gardening and travel. She decided to join the partnership as she believes that they are doing a great job for the people of HD63. Along with Angela, she is also a volunteer at the Brighouse Old Peoples Rest Centre. Craig Weston, a resident has lived in Rastrick for 20 years with his wife, Hilary, having previously lived in the Midlands. He was educated in Bradford and is now retired and has 25 years’ experience as Property and Estates Manager working for a number of PLCs. His interests include sport, and in particular motor, snooker, tennis and travel. He also enjoys walking, gardening and D.I.Y. He is involved with a number of local clubs and the third age group. 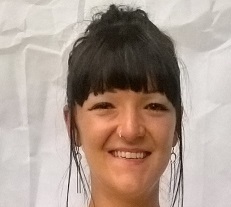 Sophie Whittaker – a resident and Rastrick Ward Councillor has have lived in Rastrick for 11 years and became a local Rastrick Councillor in June 2017 before joining Rastrick Big Local (RBL). Sophie works for Craig Whittaker MP and is passionate about improving the lives within our community. Being involved with RBL is a fantastic way for her, as a local councillor, to keep in touch with our community, help enhance local projects, and enrich the lives of Rastrick residents. Danny Leach is the community engagement worker for the Rastrick Big Local partnership. He has worked across many sectors including charities, specialist health organisations, public sector and social enterprises. He is available to support and advise any agency or group wanting to become involved with Rastrick Big Local. Danny can be contacted via the website, by email on danny.leechrblvyc@gmail.com or telephone 07544 684954. Mags Bryson – Calderdale Council Neighbourhood Coordinator Lower Valley has been involved with RBL since the start in 2012 providing support to establish and develop the programme in Rastrick. Her role with RBL includes facilitating the Community Small Grants scheme, contact for groups and organisations wishing to apply, receiving and checking applications, working with the panel on making decisions and follow up monitoring. Mags has worked for Calderdale Council since 2000 in a community development role working with communities on things that matter to them to find solutions. She works with groups and organisations offering advice, guidance and support to achieve their goals. Helen Thompson is the Big Local Representative for Rastrick Big Local HD6 3. She provides light touch support and advice for the partnership and helps to share information from Local Trust and other Big Local areas. Any Rastrick resident can find out more about projects nationwide, through free visits, events and online, so get in touch, or check out https://localtrust.org.uk/ for more information. Helen brings extensive experience of working in neighbourhoods; with residents groups, Housing Associations, through voluntary sector support and public health projects. She focuses on training and developing initiatives to get people’s voices heard and give volunteers more skills to get things done in their communities. She works free-lance in training and development and supports two Big Local areas. After 20 years working in the West Midlands, Helen has returned to Yorkshire with her partner and two girls and is based in Sheffield.